Summer in December? 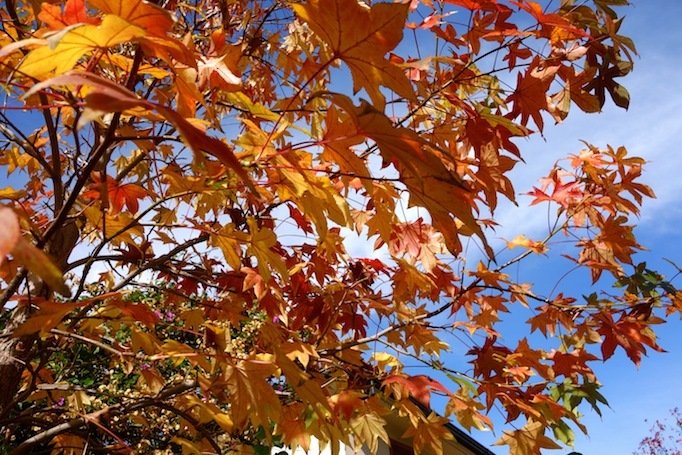 It’s easy to forget that for those of us living in the Southern Hemisphere, summer is here! As a primary school teacher here in Chile I am lucky to be treated to nine weeks of summer holiday. Which is a crazy long time! As I write this, I have two weeks left at school and then I am off until the end of February. I will be spending Christmas with Carlos’ family who live just outside of Santiago. We will spend Christmas in the least Christmassy way for me: by the pool with a BBQ. I don’t know that a Summer Christmas will ever really feel like Christmas for me, but I do know that it’s still lots of fun!! The 26th December marks our one year wedding anniversary which means we will celebrate with our favourite food, Indian. London :: 27 Dec – 14 Jan.
I’m really lucky to be heading home to London again. This time I am going for two-and-a-half weeks and I can’t wait to catch up with family and friends as well as soaking up that real wintery Christmas feeling. Carlos and I are heading to the south of Chile (Patagonia) for our summer holiday this year. We are going to be spending 15 days adventuring around Coyhaique and The Carratera Austral, an area that is known for its stunning natural beauty. We aren’t going to plan much, as our travelling style is very much a ‘go with the flow one’, but we are planning to combine a mix of camping, cabins and B&Bs. So excited to explore a new area of Chile. I haven’t been to my favourite city, Valpo, since April! So I am well overdue a trip to the most colourful city, especially as it is oh so close to Santiago! Summer isn’t complete without a few days at the beach and since Santiago is so close to the beach, I am sure that I’ll head to the beach for a few days with some of my friends from work. There are a few beaaaaautiful spots close to Santiago that I would like to explore this summer! What are your Summer/Winter or Christmas plans? Christmas Announcement :: Wanderful Wednesday will be taking a break for the holidays as the hosts are all travelling for some of the Christmas period, plus we know lots of you will be too! Next week (Wednesday 14th December) will be our last link up of the year and we will be back to linking up on Wednesday 18th January. We can’t wait to hear about your adventures after our break! So much fun in your future. Gotta love those teacher perks like summer holidays! Thank you, I’m excited 🙂 And yay for teacher holidays! We get six weeks for summer in England so nine seems like ages to me!! I am lucky and defo not the norm: Chilean holidays are usually 15 days per year. And you don’t get any holiday for your first year in a new job! Us teachers are beyond lucky!! Thanks so much! Wishing you all the best for a wonderful end to 2016 and an even better start to 2017. 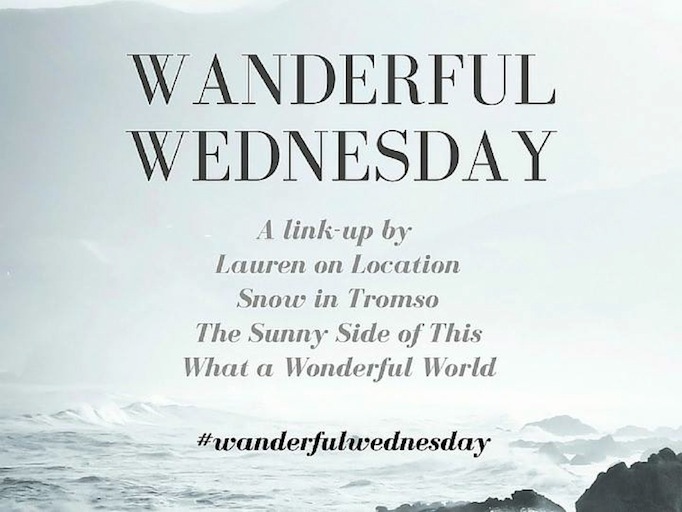 Thanks for all of the Wanderful Wednesday support! It’s so weird for me too!! I think it’ll take a very long time to adjust to the opposite seasons! Nine weeks! Holy moly! So much time for so much fun stuff 🙂 I’m extremely jealous of your Patagonia plans, I’ve wanted to go there for the longest time. It sounds like you’ll have a blast, and going with the flow sounds like something I’d like to do but I’m too much of a planning freak 😦 Anyway I can’t wait to read all about it. All of your plans sound like so much fun, but kind of a bummer that you won’t get to experience a London winter until after Christmas. Either way I know that you’ll be excited to go home for a little while, and all of your other plans in South America sound like so much fun! Thank you!! I will still get to have some Christmas with my family as we are going to do a post Christmas dinner 🙂 So I get two Christmases, yay! What a great bunch of plans!! Can’t wait to read more about the new area of Chile when you are back 😀 Have fun!! Thank youuuu!! So excited to explore it too! Crazy indeed!! Thanks so much 🙂 Sp excited for everything to come! Sounds like a great summer plan! Congratulations on your anniverary too – my husband and I will celebrate 1 year on January 7th. Lots of exciting plans ahead! We’ll be back in NZ over Christmas then back to Fiji then to Japan for a ski holiday – so the next couple of months will be very busy! We have a summer Christmas too so it will be a big shock to the system when we arrive in a wintery Japan – but can’t wait! Have a wonderful Anniversary, Marcella! I knowww, I’ll be going from over 30 degrees to single digits, it’ll be a shock! WOW that is such a good amount of holiday! Nicely played 🙂 Sounds like you’ve got some great plans for it too, especially exploring Chile. And hope you have a wonderful time in London first! Thank you! So excited 🙂 Maybe we can meet up this time? Have a wonderful rest of the festive season!